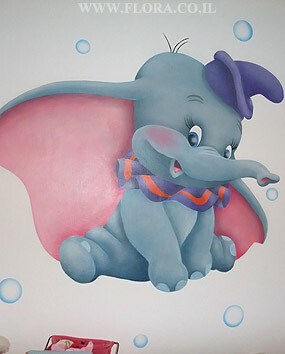 Dumbo - Murals Baby room. Muralist: Flora. Location: Rishon LeZion.